The mandate of Podolski NESS is to support students’ academic, social/emotional, and spiritual well-being. Our students are supported through a wide range of services. We offer the delivery of small-group academic remediation, small-group academic enrichment, independent learning projects, ESL, psycho-educational testing, therapeutic counseling, speech language therapy, and occupational therapy. In this way, we support the growth of whole child. A hallmark feature of Podolski NESS is the small group academic support provided to diverse learners. Skilled specialists provide many academic accommodations for students to successfully access the General Studies and Judaic Studies curricula. Staff use varied teaching strategies to enable each student to progress through the grade level curriculum. Changes are made to the physical environment of the classroom and/or the school for those with physical exceptionalities. Finally, adjustments are made to assessment methods to be sure that each student is truly able to demonstrate his/her learning. 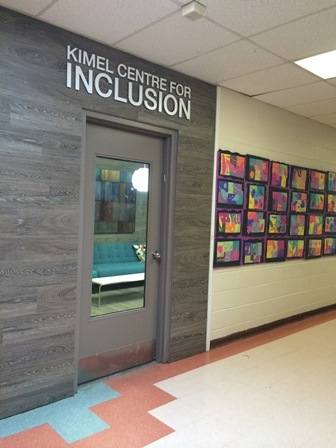 The Kimel Centre for Inclusion is situated at the heart of the school. The architectural design took into consideration our diverse learners. Here, each child feels safe and supported as he/she works towards enhancing personal abilities and developing life-long learning habits. The Active Learning Space lends itself to cooperative group-based activities and presentations. Three color-coded zones comprising of tables, chairs and educational materials foster a supportive climate.The Lounge provides a comfortable meeting area to gather. 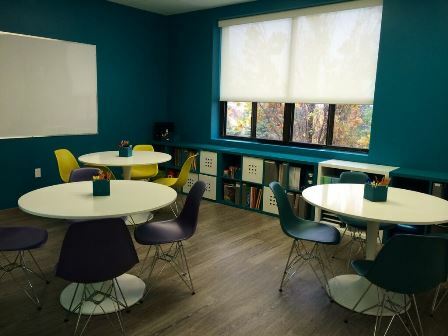 Silent Study Rooms can be used for test-taking, independent review, work with a peer, or one-to-one guided intervention. The soundproof feature heightens student focus. Students access this beautiful space at lunch time for assistance with homework. Throughout the day, students can also access the space with a hall pass. Consider going on a bike ride… Do you thrive on steep inclines? How would you feel if you were a speedy biker and were told to slow down? NESS offers enrichment opportunities to talented, gifted, and high achieving students so that they are appropriately challenged. Enrichment is provided by theme. Eligibility to participate is based on the learner’s complete profile. Classroom grades, results from standardized achievement tests, psycho-educational assessments, teacher referrals, and/or parent recommendations provide insight into the student’s ability. Students in the enrichment program progress faster through the academic content covered in the classroom. Students then receive richer and more varied educational experiences that help develop creativity and critical thinking skills. In the Middle Division, select students are given the opportunity to follow independent learning projects. Each participating student fills out a learning contract. 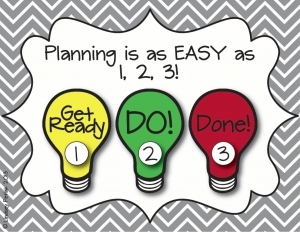 Completion of tasks occur at school and at home. 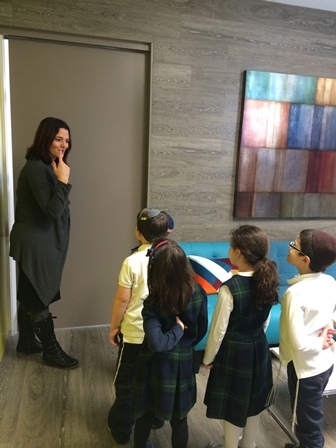 Curriculum support is offered to students in grades one through eight for General Studies and Judaic Studies. Each session is forty minutes in duration. Students are placed in NESS groups for teaching methodology to be differentiated. This means that students in the NESS group receive instruction that is at a different pace, level, or format. The specialist adjusts the teaching strategies based on the students in the particular group. 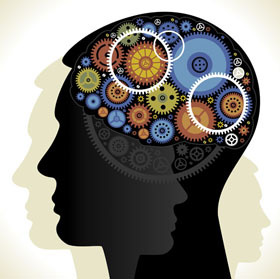 The NESS specialist, therefore, matches techniques with each learner’s unique profile. A learning profile is the child’s particular areas of strength and need. The NESS groups are not fixed or permanent. These groups are flexible and change over time. Depending on the subject matter and students’ needs, groups may range in size from two to six students. 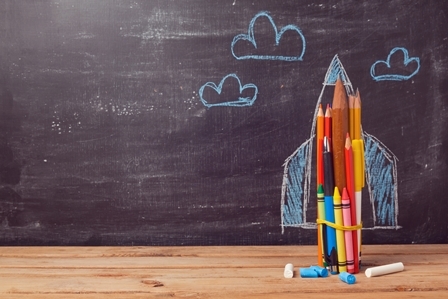 Jump Math is an innovative, research based program used by teachers to remediate math skills. We offer a research validated Executive Functions Program to Middle School students enrolled in our Learning Strategies Seminar. 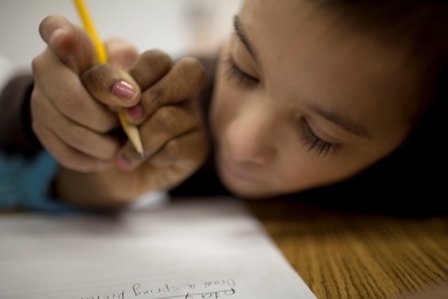 According to research, students who performed well in the Executive Functions Curriculum had a higher rate of homework completion, improved organization, and success in reading. The purpose of this seminar is to acquire learning strategies that can be applied across subject matter in order to become more independent and efficient learners. Families that have moved here from Israel and elsewhere are supported by enrolling their children in our English Language Learners program. Within the classroom the emphasis is on cooperative learning, use of English-speaking role models, hands-on activities, visuals, demonstrations, and modeling. 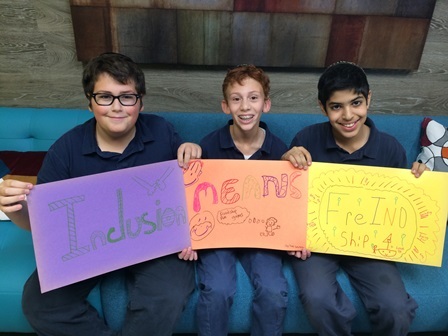 Students in our ELL program are provided with individualized and small group support. Focus areas include vocabulary, grammar, pronunciation, and day-to-day conversational English. Gross motor and fine motor abilities, visual-motor integration, and visual-perceptual skills all impact school performance. Students are referred for occupational therapy services for a variety of reasons. 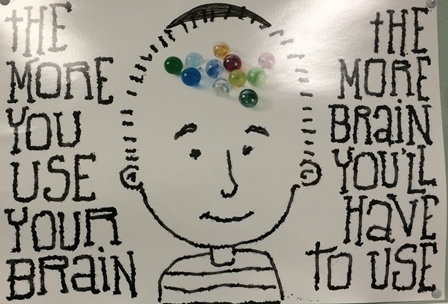 If a student has difficulty manipulating writing tools, lacks independence with self-care tasks, and/or is having issues with written output (English, math etc. ), a referral will be made for an OT assessment. Occupational therapy is provided in the school setting. Attainment of goals and skills are closely monitored. Applications are made to the Community Care Access Centre (CCAC). For an application form, please contact the Podolski NESS Department. Speech Language Therapy is provided to students that would benefit from individualized speech, language and communication support. A referral for therapy will be made if the student demonstrates difficulties with articulation (sound development), language expression (grammar vocabulary, connecting ideas), fluency, voice and social communication. Therapy is provided in the school setting. Attainment of goals and skills are closely monitored. Applications are made to the Community Care Access Centre (CCAC). For an application form, please contact the Podolski NESS Department.  Netivot HaTorah offers psycho-educational testing within the school context. This is fee for service. An assessment is carried out as a tool to better understand a learner’s profile.